The Health Advocate’s Marketing Handbook provides advice and guidance to help patient and health advocates and navigators optimize marketing outreach with advertising, your website, public relations, newsletters, print materials and more. You’ll learn how to maximize your marketing budget with no-and low-cost promotional tactics. You’ll be able to brand yourself and your business, and develop and effective marketing plan. Once you own the book, you’ll also be able to take advantage of several free downloads: a workbook that accompanies the Handbook, plus templates for both a marketing plan and a press release, and dozens of links to useful online resources. In 2004, Trisha Torrey was diagnosed with a rare, fatal lymphoma and told her life would be measured in months, not years. But her intuition told her there was something wrong with the diagnosis. In search of alternatives to both the diagnosis and chemo, Trisha did some homework, empowered herself, and made a few professionals angry, but eventually proved that in fact, she had been misdiagnosed. She had no cancer. Based on her belief that everything happens for a reason, Trisha, a former teacher and marketing consultant, changed careers to begin teaching others to improve their chances for better medical outcomes, too. Today Trisha is known as Every Patient’s Advocate. She is a newspaper columnist, About.com’s expert in patient empowerment, and a national speaker who teaches patients how to navigate the unwieldy and dysfunctional health care system. She has been quoted by the Wall Street Journal, CNN, NPR, USA Today, Fox News, MSNBC, O Magazine, US News and World Report and other media. In 2009, Trisha founded AdvoConnection.com, a website that provides business support to professional private patient advocates and connects them to the patients who need their services. She wrote The Health Advocate’s Marketing Handbook in response to the many marketing questions asked by AdvoConnection’s member advocates. The Health Advocate’s Marketing Handbook is Trisha’s second book. Her first book, entitled You Bet Your Life! 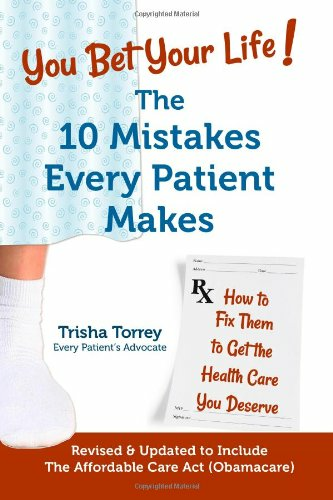 The 10 Mistakes Every Patient Makes (How to Fix Them to Get the Health Care You Deserve) was published in early 2010. 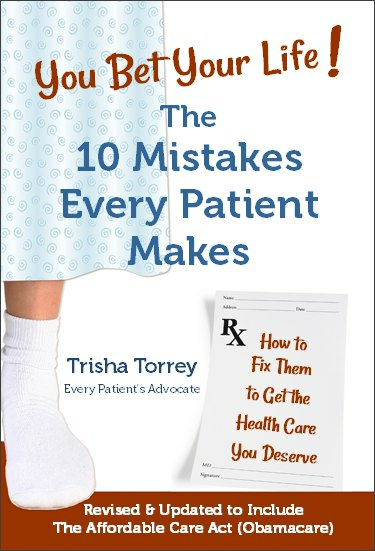 Learn more about Trisha’s expertise at her websites: www.EveryPatientsAdvocate.com, http://Patients.About.com or http://YouBetYourLifeBooks.com or at this book’s website: http://HealthAdvocateMarketing.com.